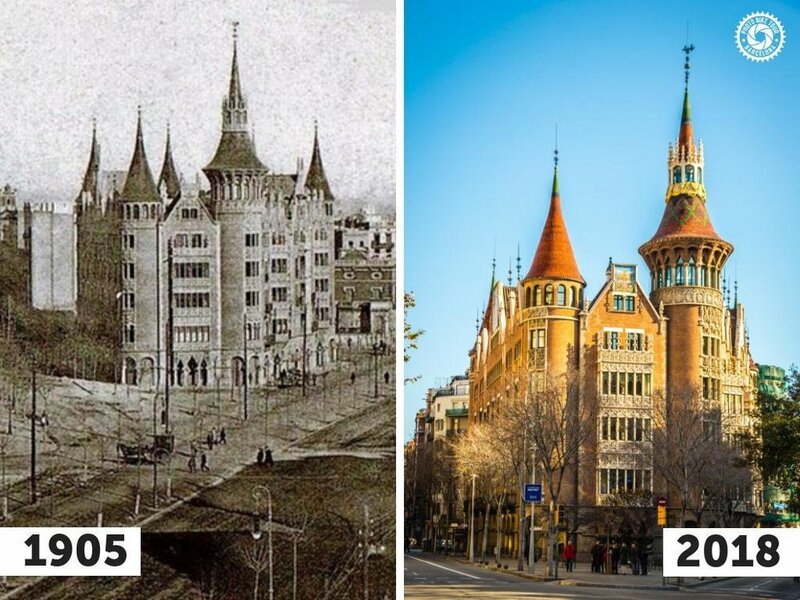 In the middle of the Eixample, between two emblematic modernist buildings such as the Casa Milà and the Sagrada Família of the catalan architect Antoni Gaudí, we find Casa Terradas, popularly known as "La Casa de les Punxes". 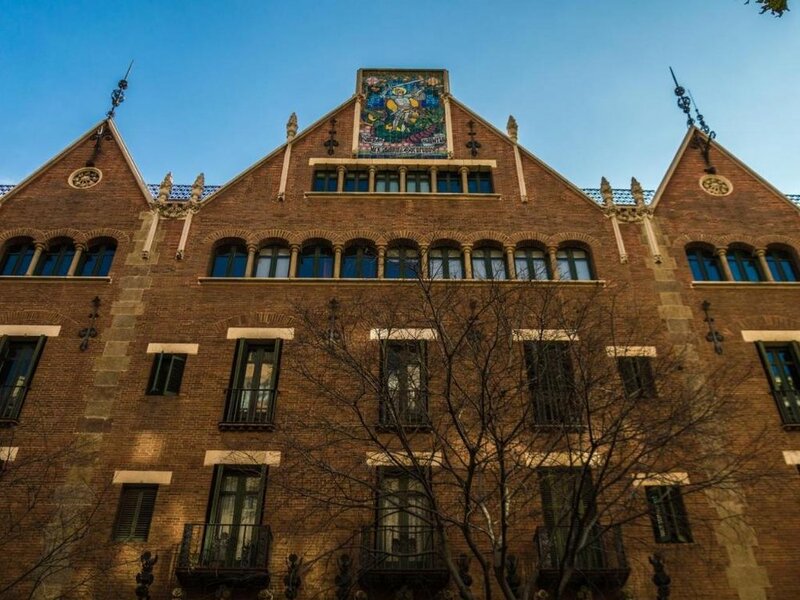 The architect was Josep Puig i Cadafalch, who built the house in 1905, commissioned by Bartomeu Terradas Brutau, textile and agricultural entrepreneur. The house was intended for the three daughters of the entrepreneur, Àngela, Josefa and Rosa, and for that reason the architect designed the building in three parts, one for each sister. In this way, the house looks like a building alone but in fact there are three different houses. In 1975, the house was declared a national historic monument, and from 2016 you can take guided tours inside. The Casa de les Punxes is a building inspired by the ancient medieval castles, with elements of different architectural currents and various technical innovations. The most remarkable element that gives its name to the house are the six pointed towers crowned by needles in a conical manner. The building had to be constructed in a triangular lot, which prevented the architect to respect the corners of the streets of the Pla Cerdà. To solve this, Puig i Cadafalch breaks with the established norms of the classicism prevailing at that time and is inspired by the architectural movement of northern Europe to build a block with six corners that coincide with the intersections of the surrounding streets. The castle of Neuschwanstein in Bavaria (Germany), served as an inspiration for the architect to do his work, and as a curiosity, this castle also inspired Walt Disney for the castle of Beauty and the Beast. Puig i Cadafalch had the collaboration of leading iron and glass craftsmen working on new techniques and materials for the decorative elements of the house. Thus, on the façade there are elements made of iron, glass and ceramics that represent floral, marine and vegetal motifs, medieval iconography and even religious symbols. In addition, each façade has a decorative ceramic element that represents each of the three Terradas sisters. In this sense, ceramic tiles are present throughout the house as a recurring element of modernist architecture. If you want to visit La casa de les punxes by bike, our private tour can bring you there. Book the tour now and choose what do you want to visit.